A Victorian Christmas - Christmas is coming! 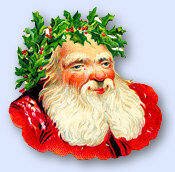 The Victorians celebrated Christmas with characteristic enthusiasm and had deep respect for custom and tradition. He links with firmer love the true. May old King Christmas come to you. Of the high days of the Calendar Christmas was always the one which held the chief place in England where it was celebrated in a manner so different from what was customary in other countries as to excite the astonishment of foreigners. As soon as the Christmas holidays had arrived work and care were universally thrown aside and, instead of devotional practices by which other countries commemorated the sacred occasion, England rang from one end to the other with mirth and joviality. Christmas carols were trolled in every street, masquerades and plays took possession of houses and churches indifferently. 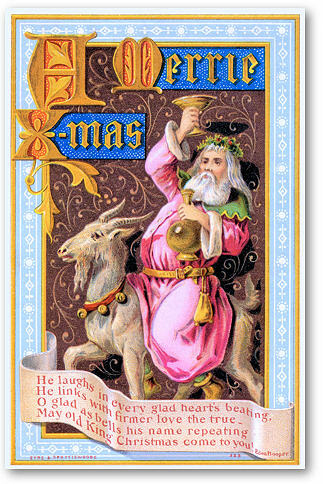 A Lord of Misrule whose reign lasted from All-Hallow Eve till the day after the Feast of Pentecost, was elected in every noble household to preside over the sports and fooleries of the inmates, while each member prepared himself either to enact some strange character or to devise some new stroke of mirth.